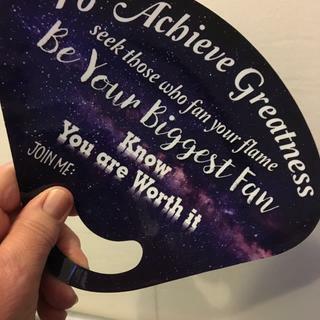 Promote your business, cause or organization with these custom stickless hand fans. 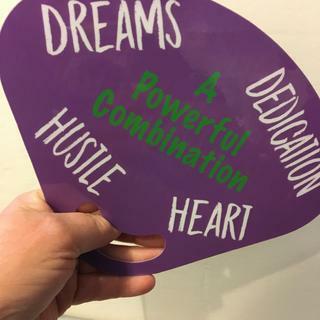 In a classic shape with full color printing, these fans are a perfect way to get your brand into people's hands at rallies, festivals and business events. Call customer service for higher quantities. Excellence, in customer service. I'd never created anything and I was in a time crunch. Design team and Virginia were ever so helpful, patient and back to me with in minutes or an hour. I will use Printglobe again and again. Hi Deborah, thanks so much for your review, and for the great photos! We are so glad to hear you're pleased with your hand fans, and with the level of service you received! We appreciate your business, and we look forward to working with you again on your next project!